So as I mentioned on Monday, I wanted to share a couple looks with you from London sooner than expected because the pieces are selling out fast! I wanted for you to have the chance to grab ’em while you still had time. In case you missed it – check out Monday’s post and Wednesday’s post! But now we are back to regularly scheduled programming, featuring looks I shot before I left Dallas. I hope you don’t mind the flip flop! All-white is definitely a common look for me throughout summer. It’s easy to be lazy about how you look in the summer, simply because it is SO hot – but with outfits like this, you can be comfortable AND put together. I wore this look on one of my last days in Dallas when I had a million different errands to run! 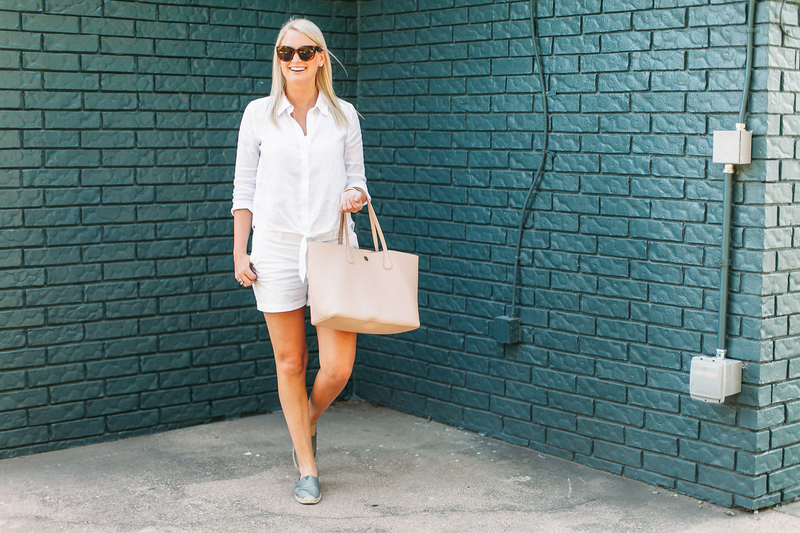 A stress-free, no frills outfit like this one is perfect for even your busiest days. These espadrilles are a random pair I picked up in Carmel a couple months back. I love how the soft shimmer of the fabric lends an air of elegance to an otherwise casual shoe. They look a little more polished than a regular canvas espadrille, don’t you think? These shoes are also a great travel option if you plan on walking around a lot! That top is super cute! Love the tie in the front! 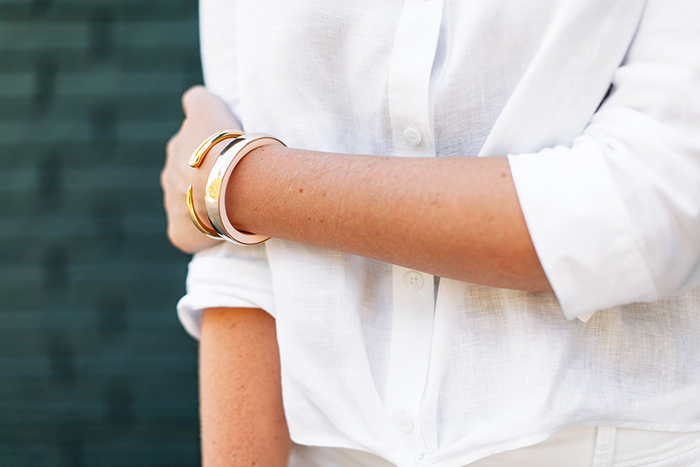 I’m a sucker for an all-white look, especially in the summer months & this one is so cute! Love this relaxed summer look. The tie waist is great! Love this look! Cute shoes and bag! 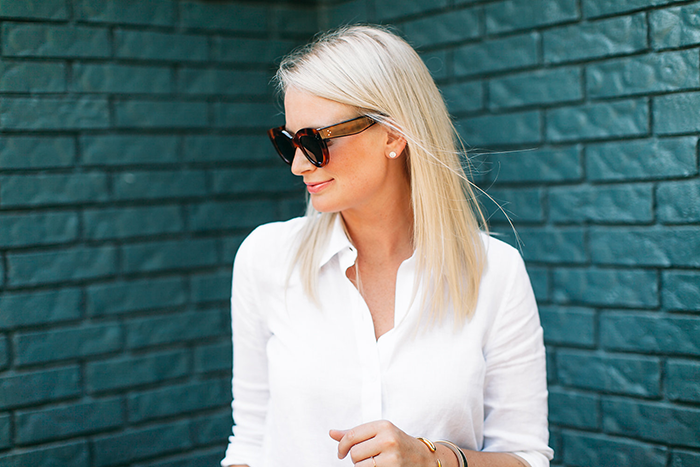 Nothing better than a crisp white button down! I love the all white look! The pop of a dark neutral in your shoes was a perfect touch, this outfit is so well styled! Your accessories are always so good! I love that pretty ring. Love this look so easy and and pretty!